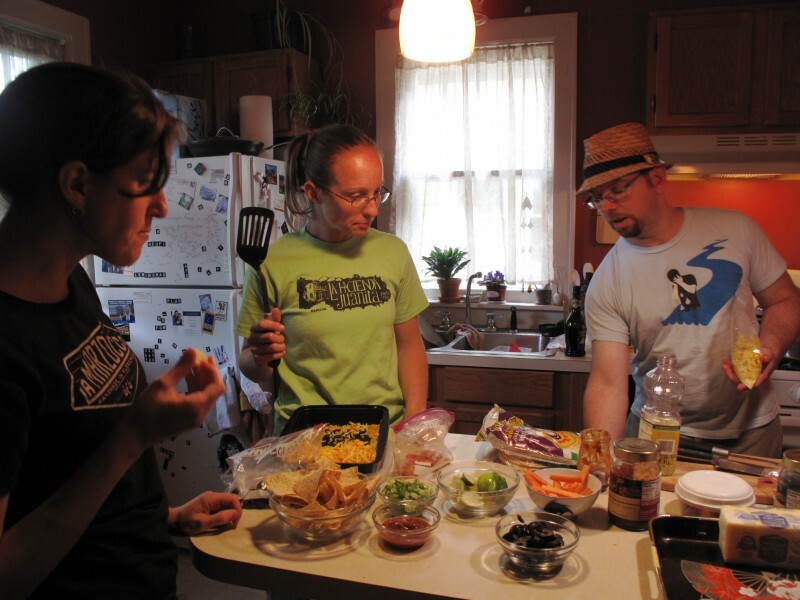 Amanda Narvaes (left) and Josh Dunigan (right) survey their spread with upstairs neighbor Jennifer Beahan (center). "Cherries at Meijer are generally $2.99/lb. At the Fulton Street Farmers Market, as low as $1.99/lb in season. Wash, pit, and freeze for year round delicious, tart cherries," Josh said. "When we started getting the CSA for the first time, that was when we noticed that, 'oh my gosh, these vegetables last so much longer than the ones that we buy at the store," Amanda said. "Where something might last 4-5 days, we can leave vegetables in the fridge for 9-10 days and they would still be edible. We can keep them two weeks sometimes and they're still fine." "I need to figure out not just where I'm buying it from but ... who's in charge of distribution, who's in charge of manufacturing," Josh said. "I love good juices ... Bolthouse is actually the only one that's still family owned. I still buy Bolthouse on occassion, but the other two [Naked and Odwalla] are owned by Coke and Pepsi." 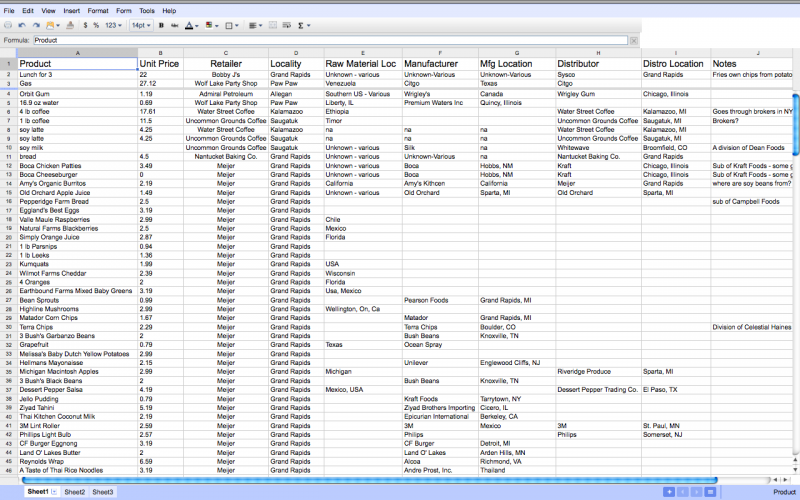 Josh's spreadsheet tracking food details. 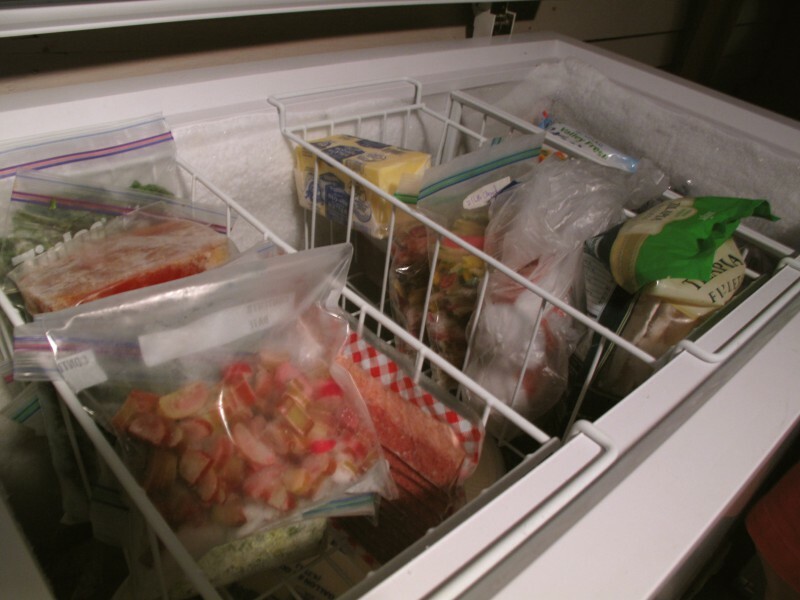 The couple shares a chest freezer in the basement with their neighbors. Rice, canned beans, eggs, sweet potatoes, carrots, cheese, bread and El Matador tortilla chips. These are common items in Amanda Narvaes and Josh Dunigan's pantry, and if they are staples on your shopping list, the couple will tell you it does not cost much more to eat local. "I think we were doing it right as there was becoming a term for it, the whole 'localvore movmement.' It was just something that people had been talking about but hadn't really termed yet," said Amanda, who is a student at Cooley Law School. In 2007, the couple began to track their food expenses. They divided it into two subsequent projects: One to track food spending, including eating out, and the other in 2008 to track the cost of buying locally. "People were making arguments that it was too prohibitively expensive to eat that way, and we didn't believe them," Amanda said. "We didn't feel like we were spending more money by trying to eat more locally and find food that came from closer to us, but we didn't know for sure, so we decided to track things." Their findings: On average, it cost $360 per month for groceries. It can be difficult to quantify average grocery spending per American household when grocery aisles swell with such selection. The USDA keeps track of national food spending at four different levels. Spending is partitioned into thrifty, low-cost, moderate-cost and liberal plans, and food stamps allotment is based on the thrifty plan. In the most recent tally from June 2010, a family of two between ages 19-50 ranges in spending from $350-$690. Amanda and Josh are in the gray area between thrifty and low-cost spenders. Amanda and Josh subscribe to a couple of community-supported agricultural farms and make weekly trips to the farmers market. The couple has stopped tracking food expenses but have formed habits around shopping local. They are the first to admit, however, that "local" is a subjective term. "There's a continuum of locality of course because there are certain things you just don't get around here," Josh said. "We're very lucky in Michigan that a lot of food we can purchase very locally like within 20 miles. It became less about the hardline of how far away did it come from to is there a place where I can find it where it's more local." Amanda and Josh love their coffee and do not try to justify the beans. "Blueberries? Easy. I know the person who grew my blueberries. Coffee? You're not talking just about the grower, who's coming directly to the market. You're talking about a grower, the person who takes the coffee to processing plant," said Josh, who has worked in the coffee industry. "Often times, you have an aggregator who's taking this stuff from various processing plants and aggregating it, and then they're going to deal with the broker, who's going to send it to a broker in the States. We're talking about a chain of command of seven or eight people." Since making the effort to eat local, the couple has learned the importance of menu planning. "Based on that argument, that we need to eat up all this food that's fresh and delicious, we started planning menus a week at a time going, what do we have in the house? What do we have from the CSA?'" Amanda said. On Sunday nights, the couple would sit down, figure out the busy points in their week and cook around them. "We looked harder at what's in our cupboard. 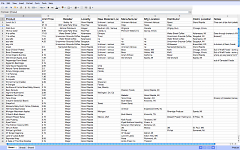 We started to use our pantry more efficiently also," Josh added. "Initially, it was very costly to build up our spice cupboard … that adds a lot to the variety of foods that we can eat." CSA subscribers put up with an overabundance of produce during certain growing seasons, and greens is one of the most commonly cited examples. With the help of upstairs neighbor Jennifer Beahan ("She's a 4-H kid," Amanda quipped) who won an award for her canned peaches, Amanda and Josh picked up food preservation techniques such as canning, freezing, blanching and drying. "Within 10 minutes, we can have all our greens stripped, processed, in a bag and in the freezer," Josh said. Freezing transforms overabundance in the summer into a treat in the winter. "You freeze them in the summer and then in the winter, you go 'oh man I really would love a potato and kale soup—'"
"Or cannellini beans and sun-dried tomatoes," Amanda added. "—and greens, and they're frozen but you just thaw them and throw them in a pan and they're delicious," Josh said. Amanda and Josh are also part of a group of six households in the neighborhood that Jennifer organizes every season to order from Country Life Natural Foods, a Seventh-Day Adventist whole foods distributor that sources its products from Michigan. Every four months, each household receives buckets of peanut butter, honey, nuts and dried fruits. "That's one of the things I like about living in the city and having porches. I feel like it makes a really big difference in how people treat their neighbors and how people get to know their neighbors," Amanda said. The couple lives in The Woods, a subneighborhood in Midtown. "We already knew most of our neighbors by the point in time we started this project up," Josh added. Amanda and Josh value eating local but recognize that it needs to fit seamlessly into their lives. "We're not purists and we're not trying to make our lives more difficult, but we think it's easier than people think to eat well and get good stuff without making their lives harder," Josh said. "I love being a musician and I put everything I can into it, and the people I buy my food from, they put that level of passion and energy into the food they grow for me." Josh drums with several local bands including Cabildo and End Times Orchestra. Over the summer, Josh played at Trillium Haven Farm's picnic. "People are doing what they're good at and love to do, and we trade it. We trade it back and forth." Thanks for confirming my suspicions. I'm just too lazy to do the math, but I had a feeling that eating locally was helping rather than hurting our budget. This article was very interesting. I liked how the people in it were so thoughtful about what they were doing with local food. I'm inspired.